GreenMark Mayfair Apartments in Osman Nagar, Hyderabad by M/s. GREENMARK DEVELOPERS PVT LTD.
By M/s. 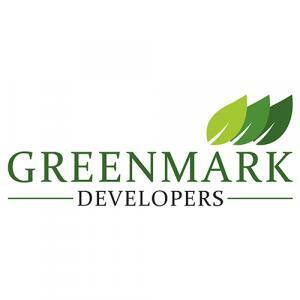 GREENMARK DEVELOPERS PVT LTD.
1261.00 sqft. - 2083.00 sqft. GreenMark Mayfair Apartments is a residential project developed by M/s. GREENMARK DEVELOPERS PVT LTD. at Osman Nagar in Hyderabad. The project aims to offer a comfortable living condition to the residents by encompassing , adding to its existing many facilities. GREENMARK DEVELOPERS PVT LTD. has become a trusted name in developing luxurious gated communities close to nature. Every project has undertake and delivered with the best of amenities and lifestyle enhancing features to the residents. With breath of knowledge in the real estate industry, the company is engaged in developing an uber luxurious villa development to create a harmony and peaceful living atmosphere. For all their endeavors they trust their highly experienced, skilled and professional team members who handle every project with the same enthusiasm and dedication.